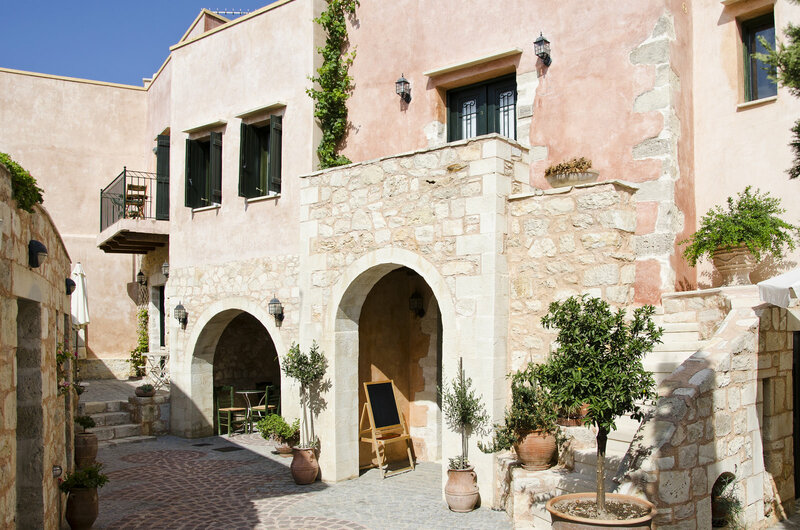 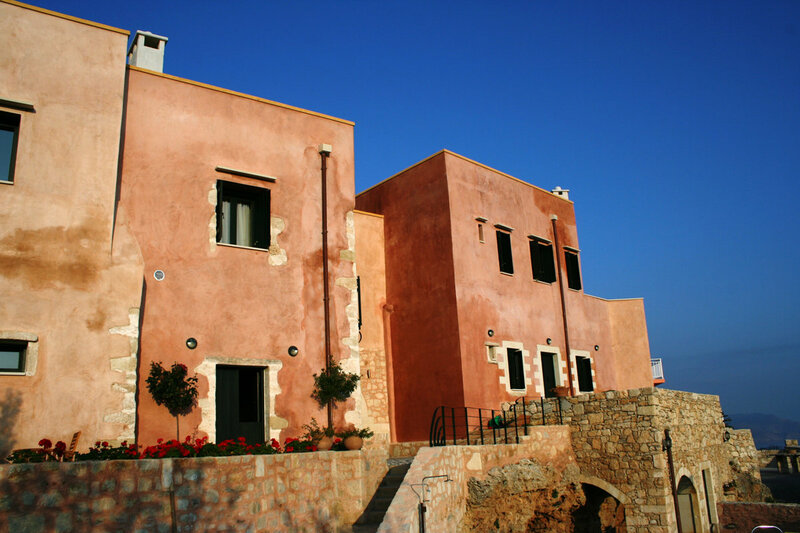 Twenty-five kilometers from Rethymnon, at the picturesque rural village of Kastellos, the eight “Kastellos Village” traditional houses, beautifully renovated and built in a background of unparalleled beauty, offer a real aura of serenity to the tired city dwellers. 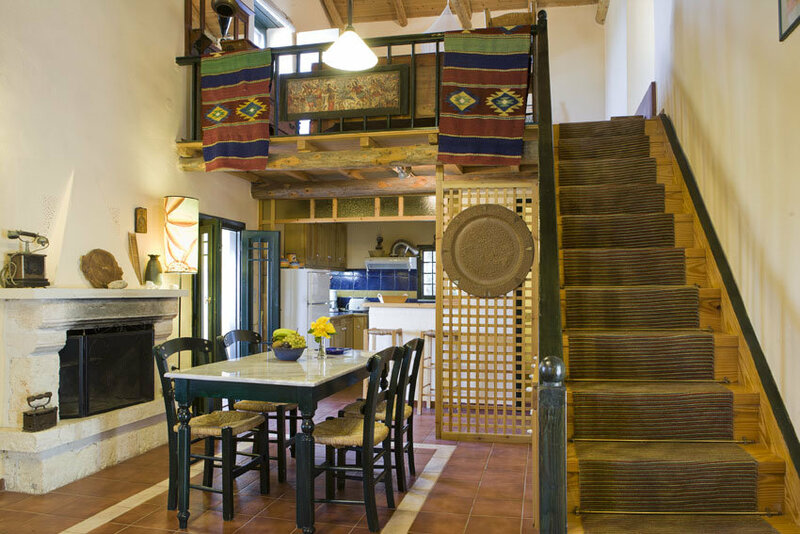 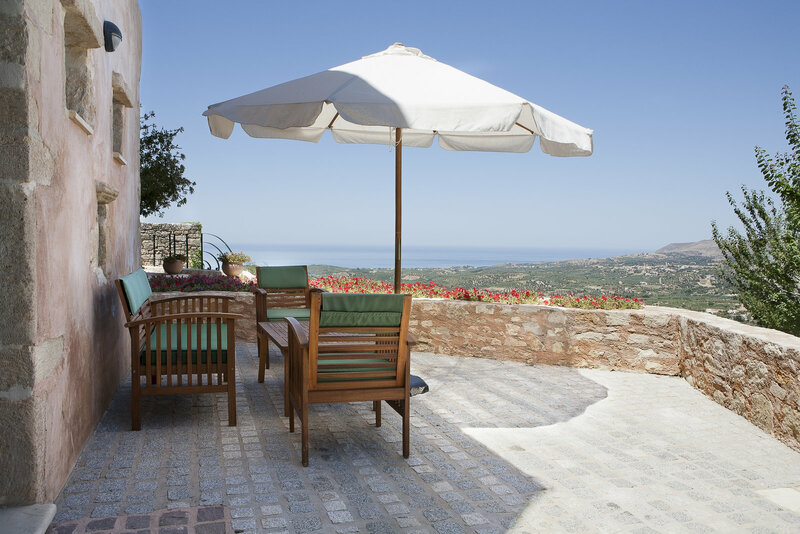 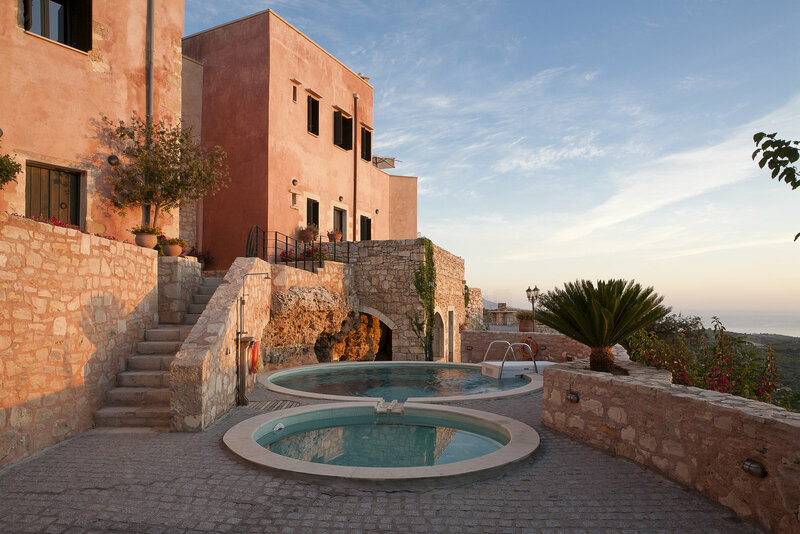 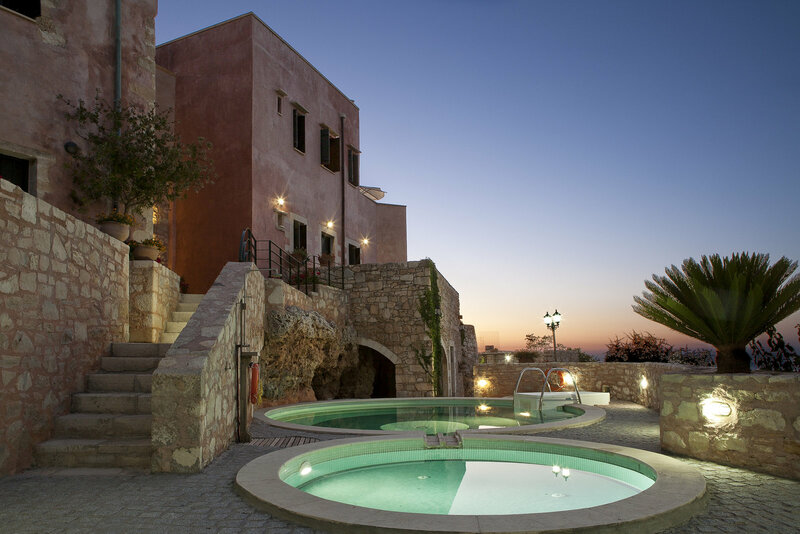 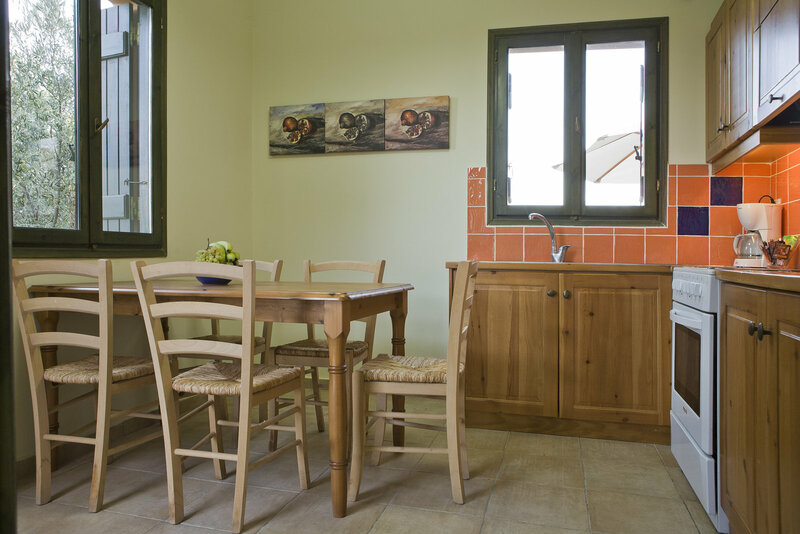 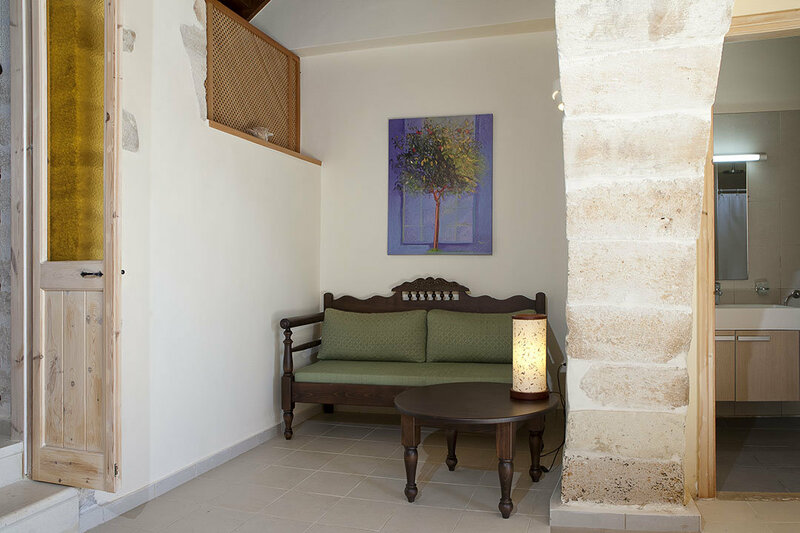 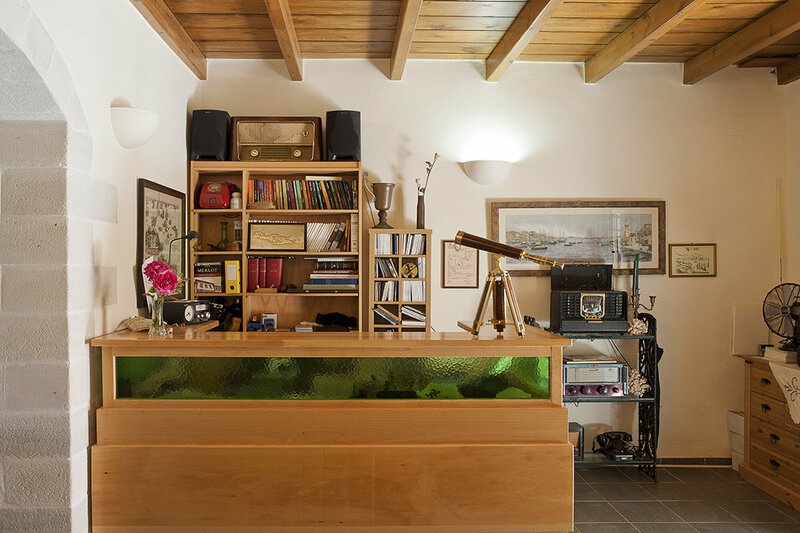 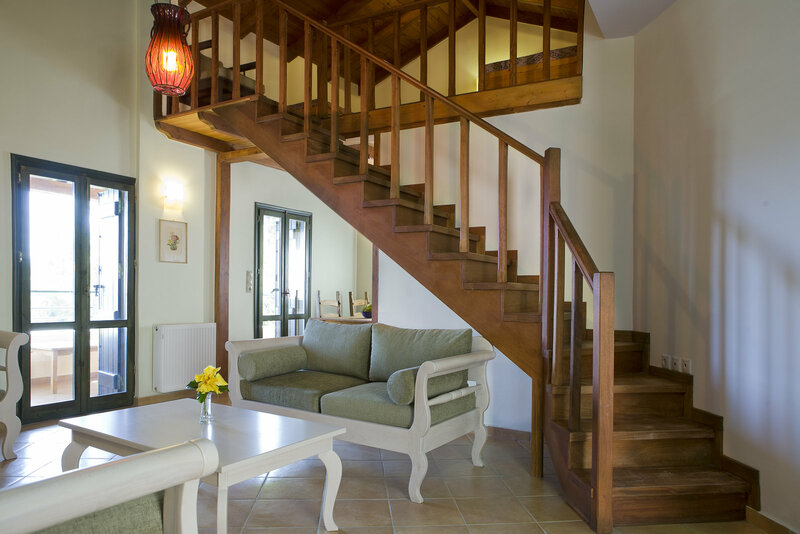 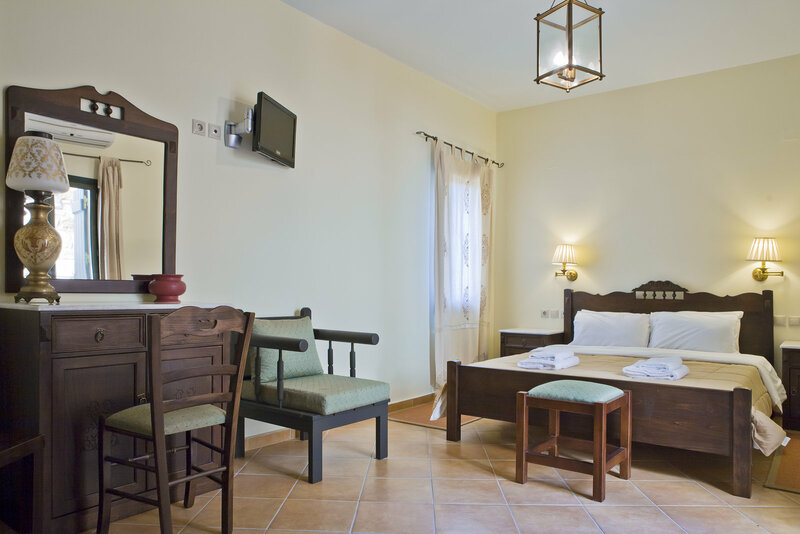 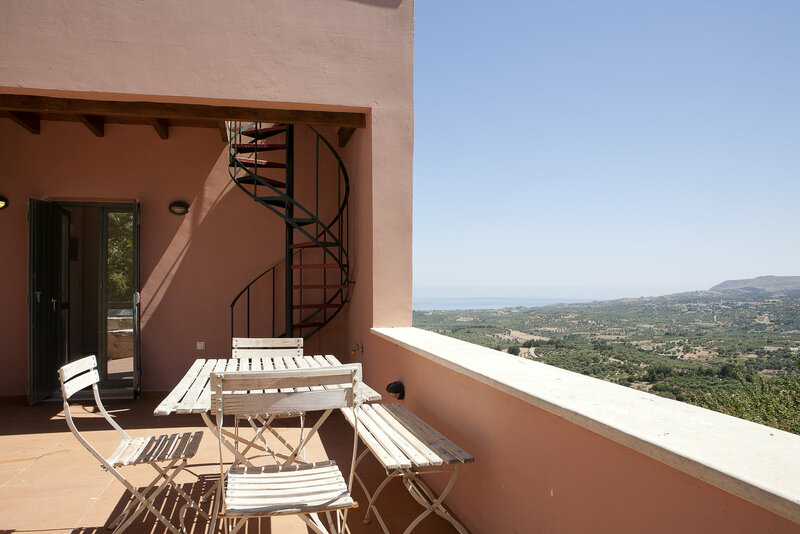 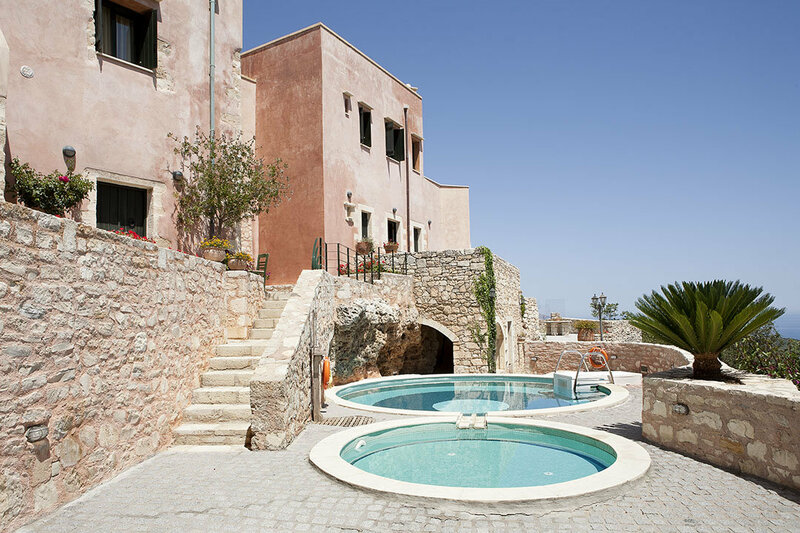 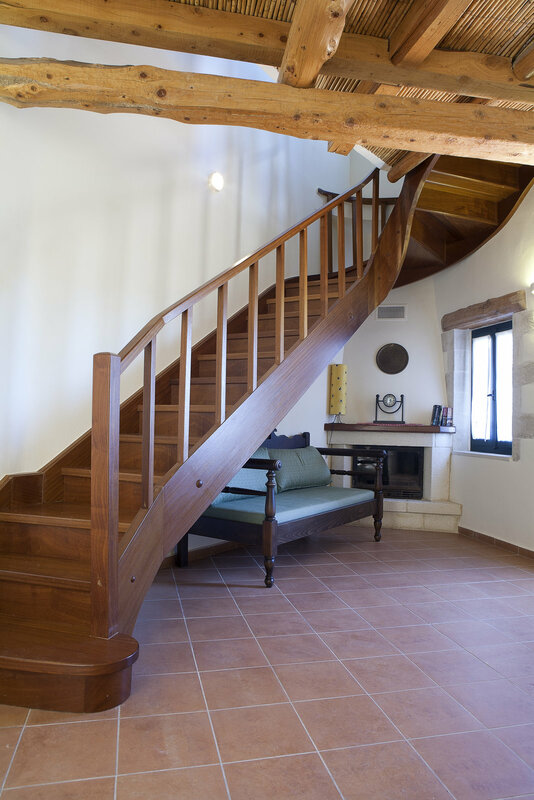 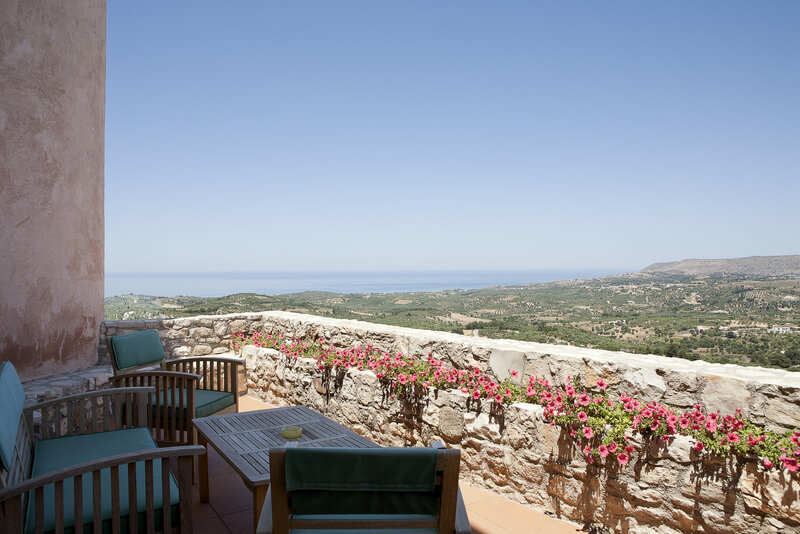 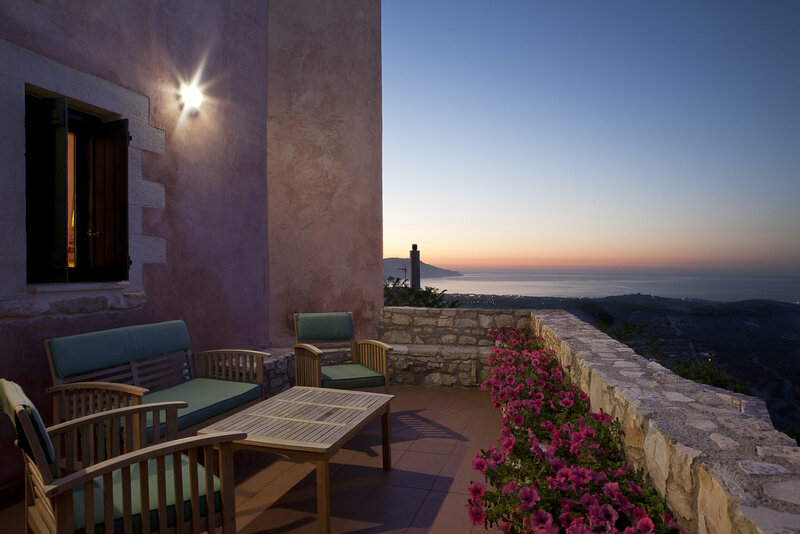 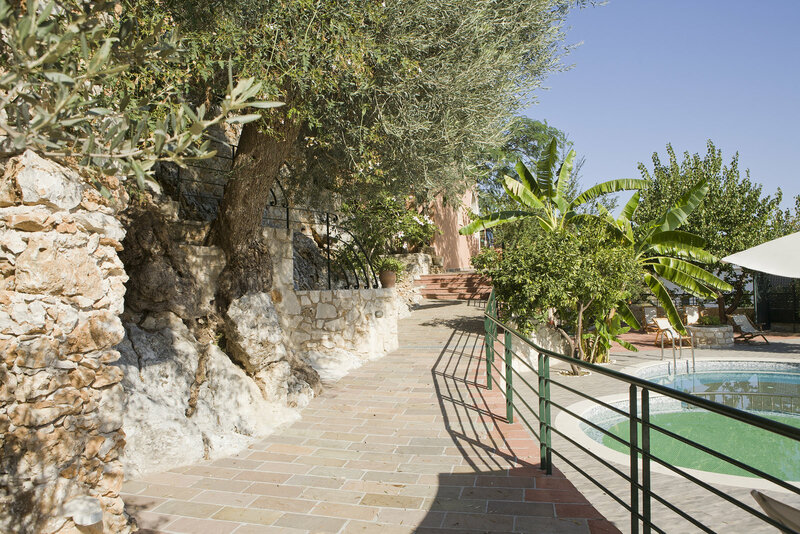 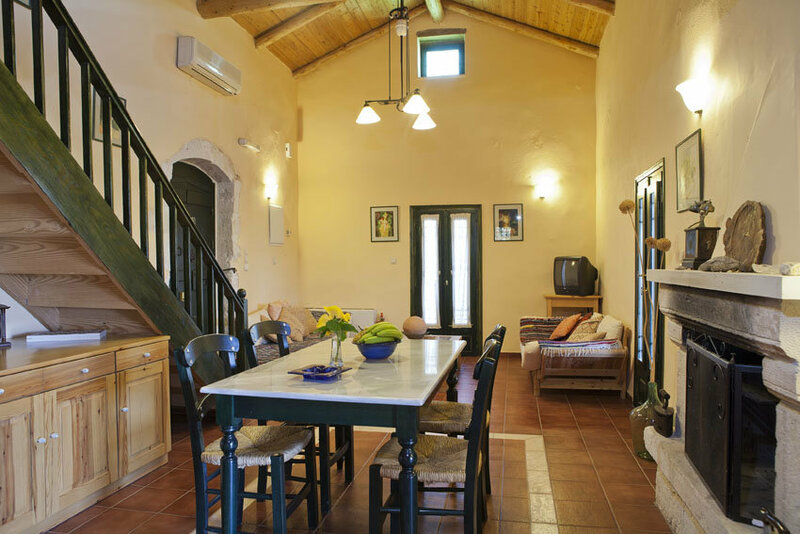 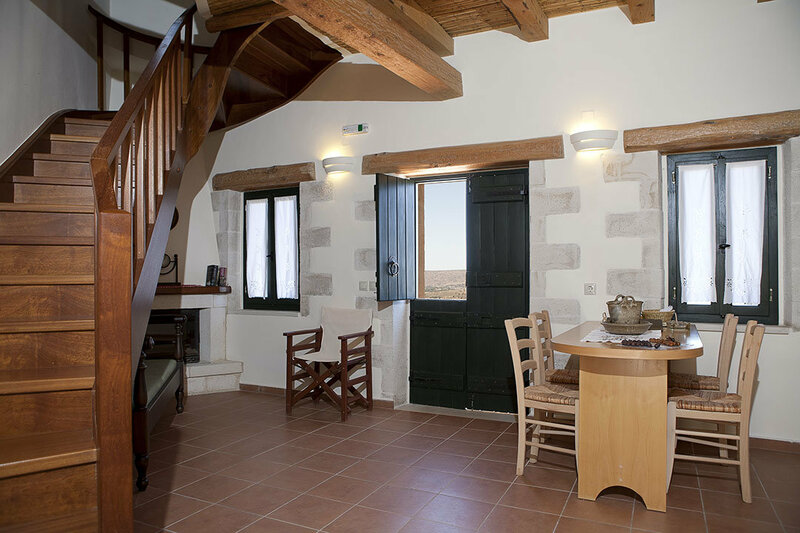 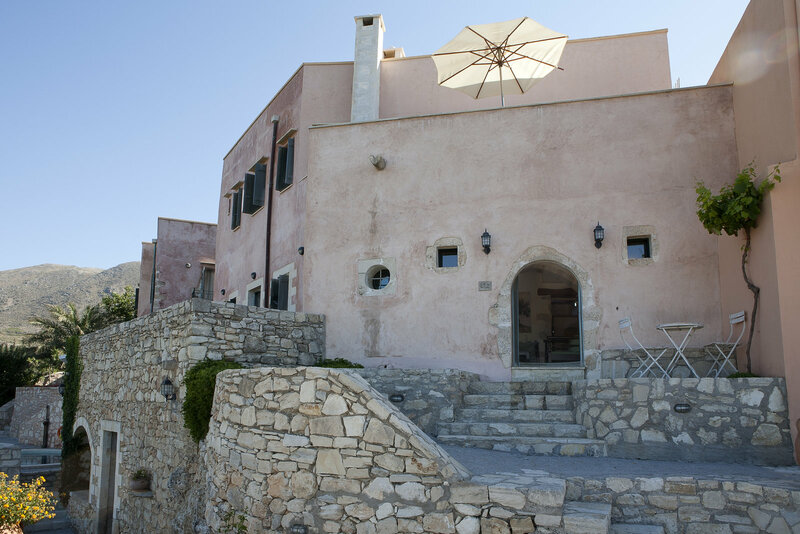 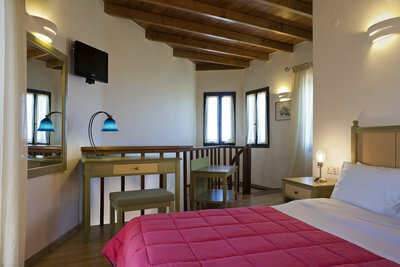 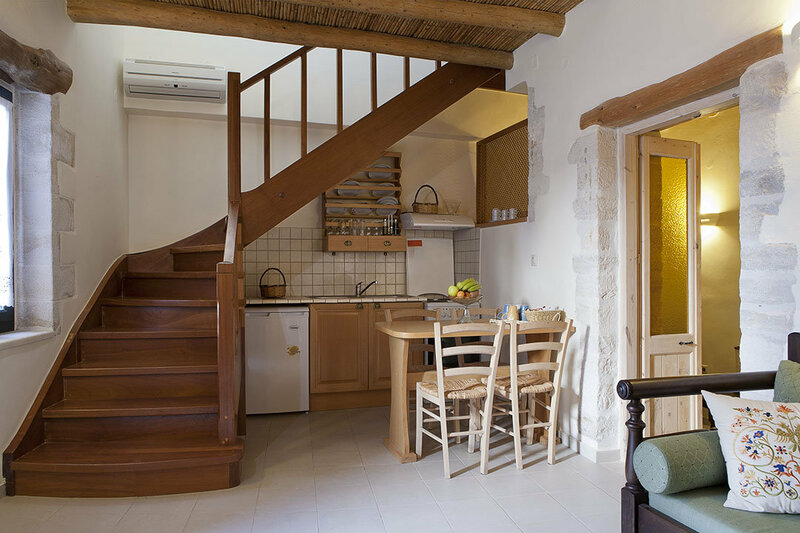 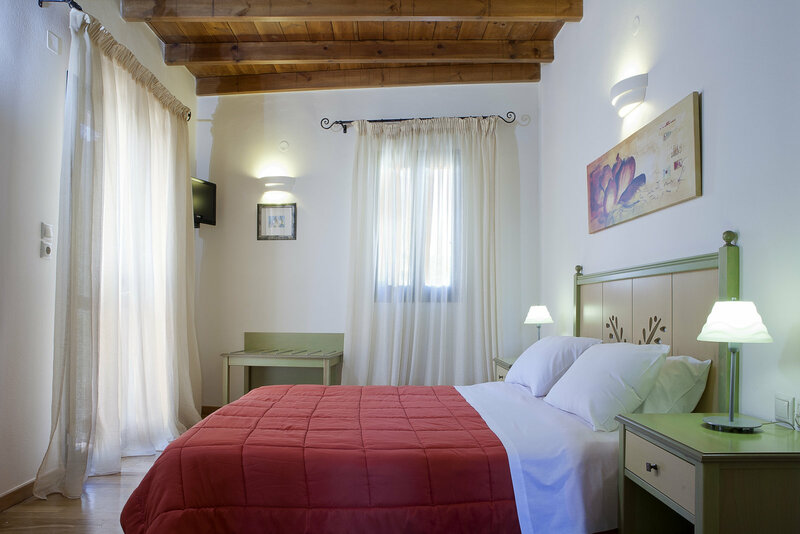 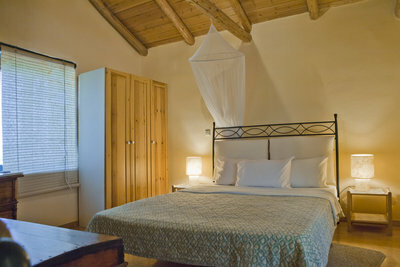 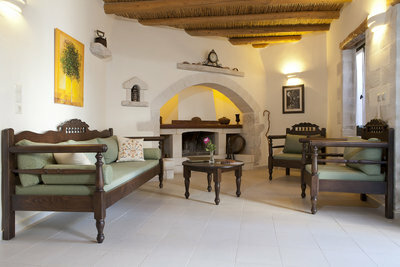 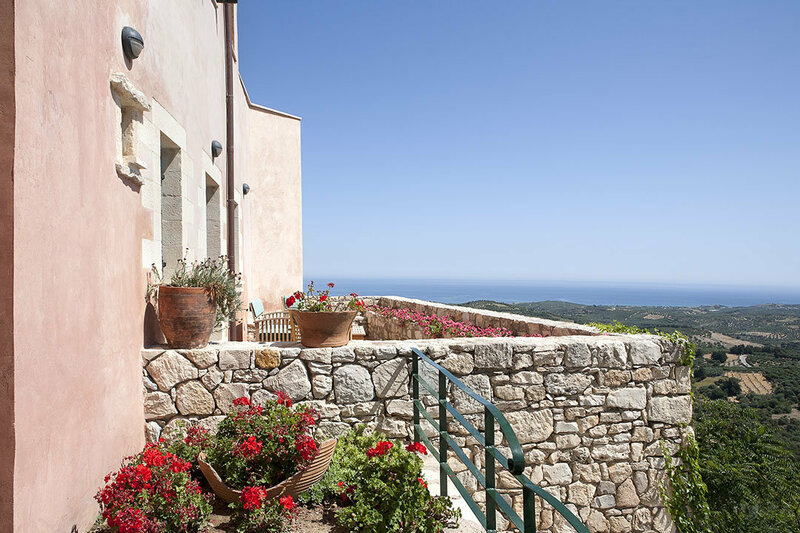 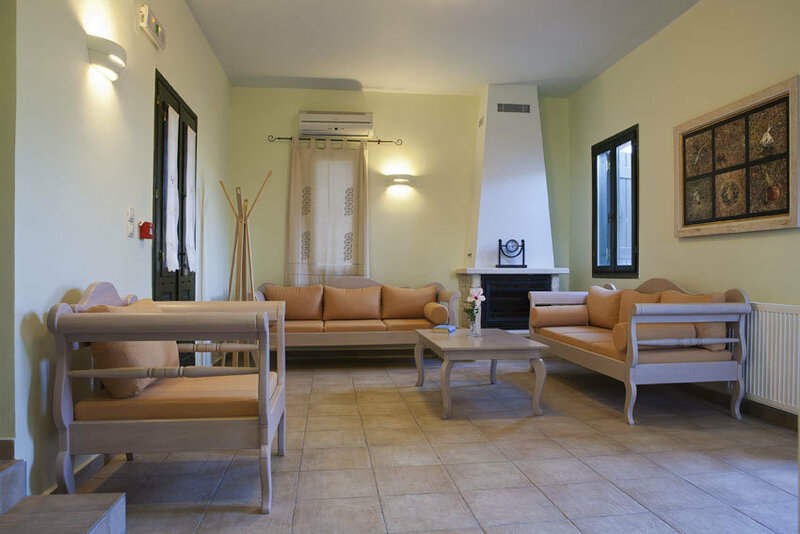 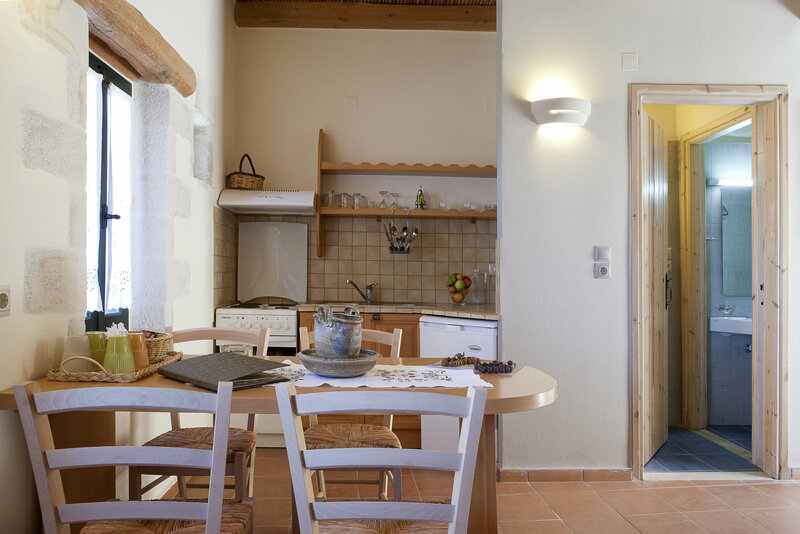 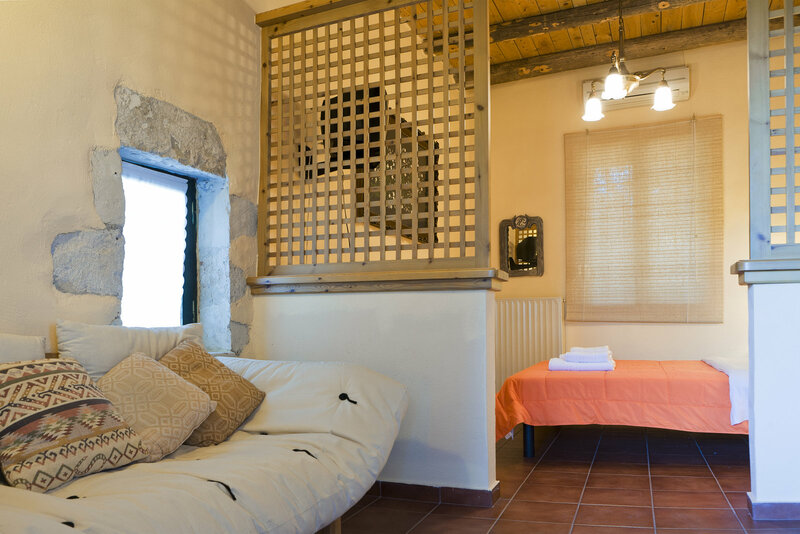 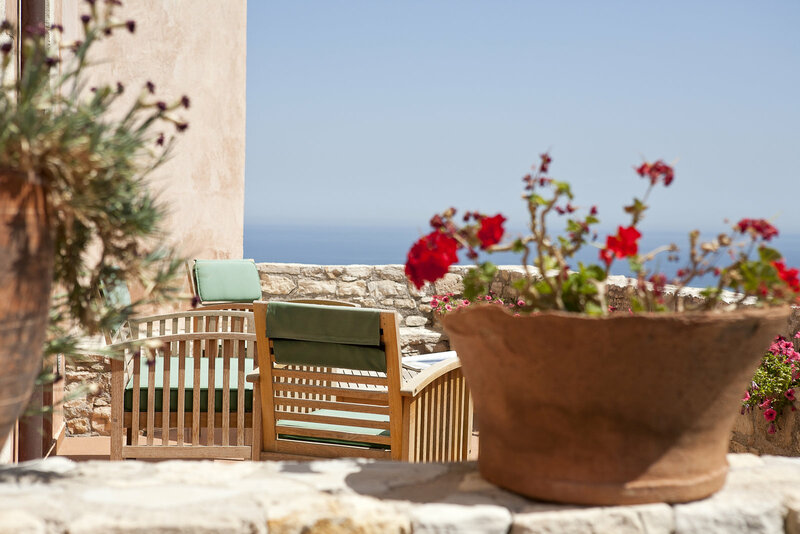 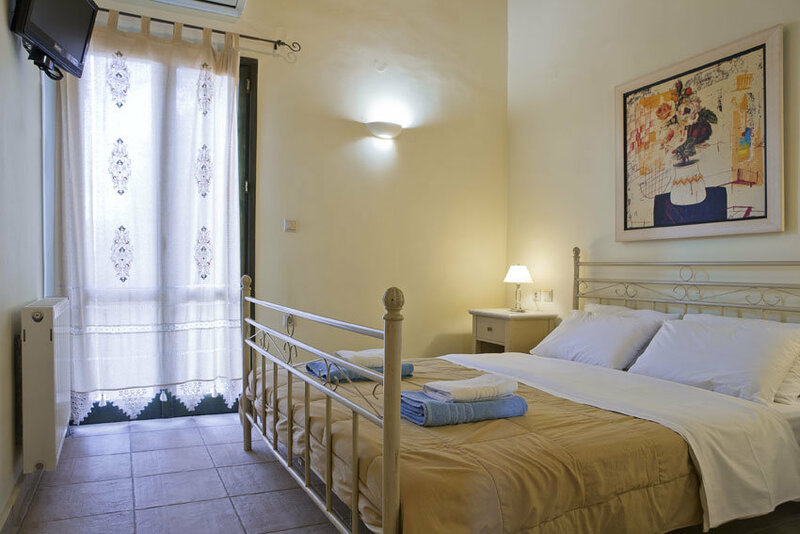 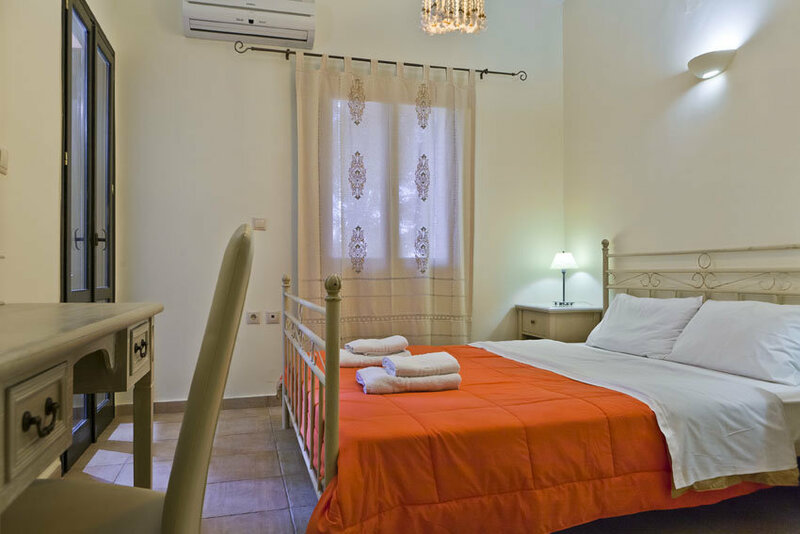 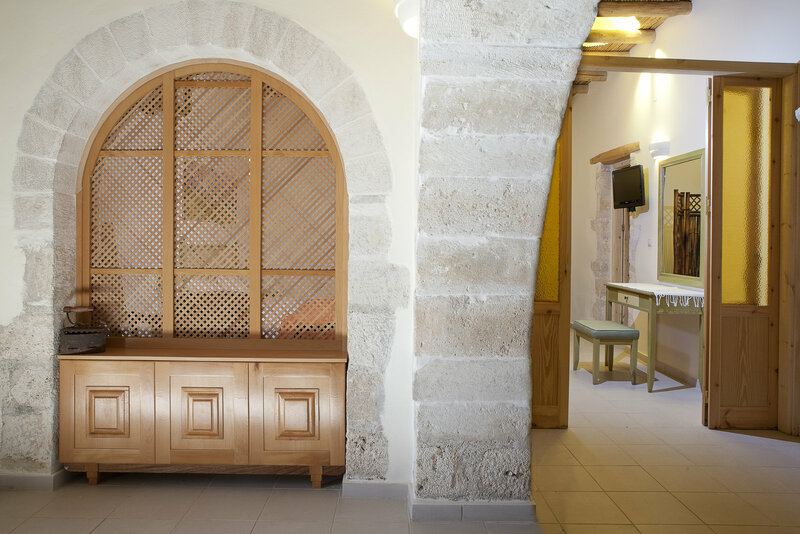 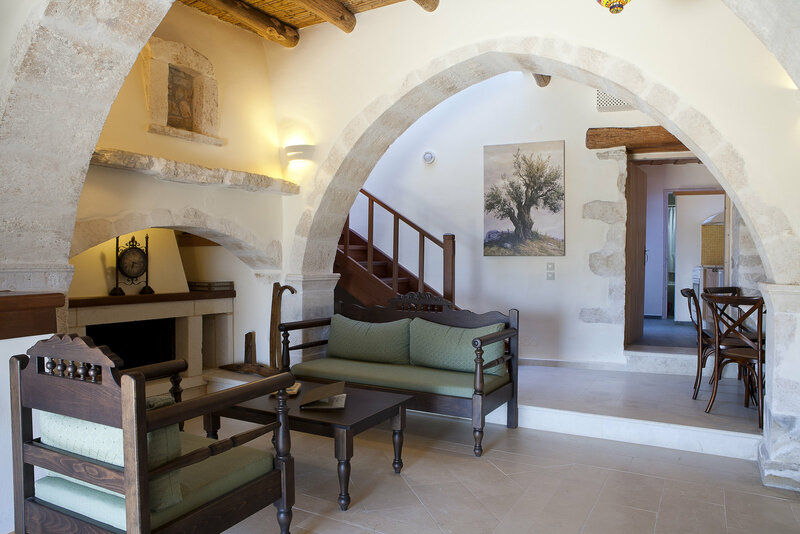 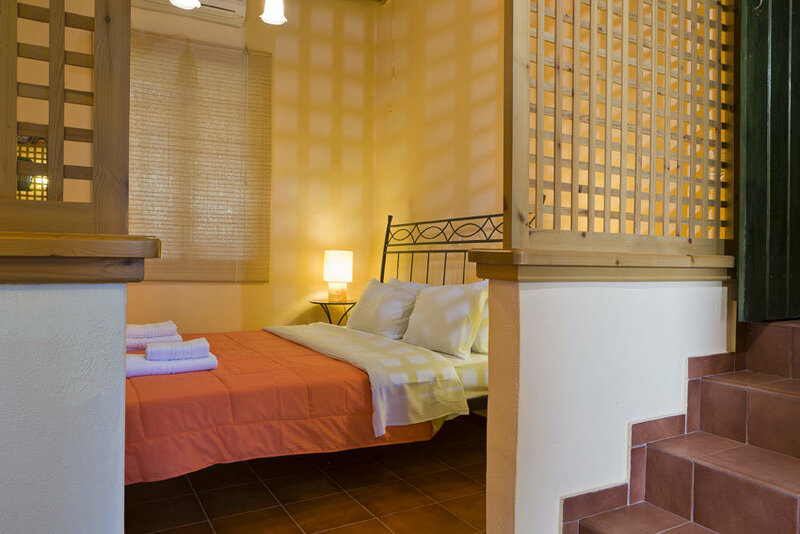 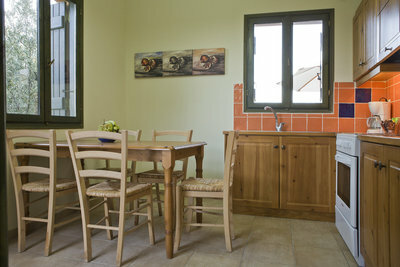 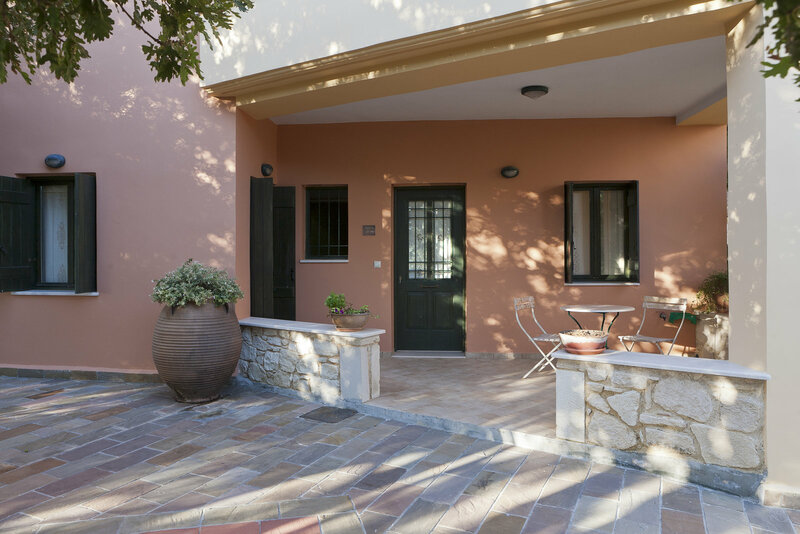 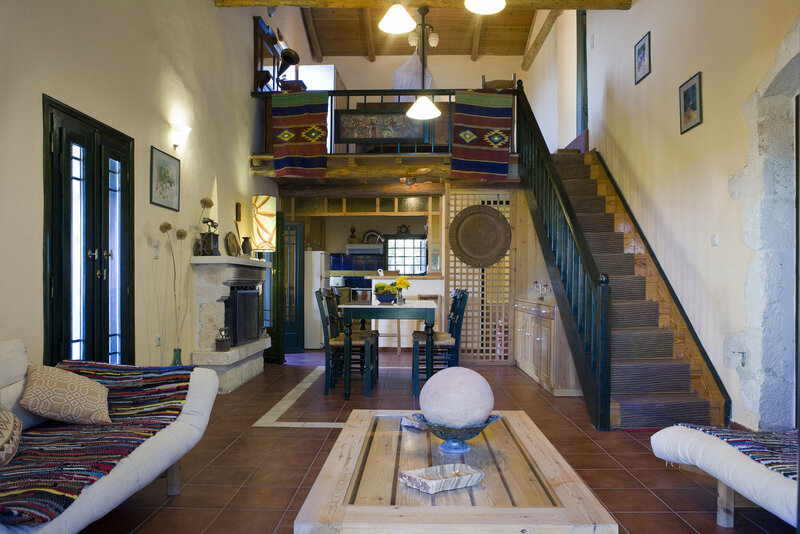 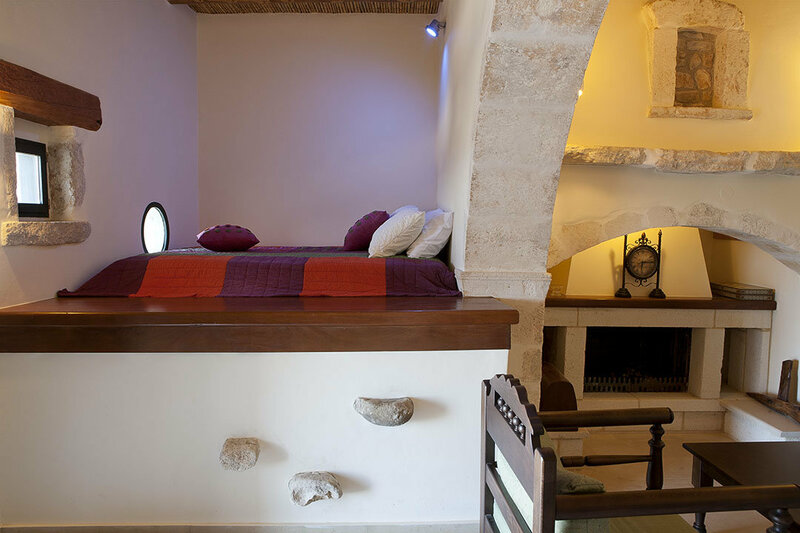 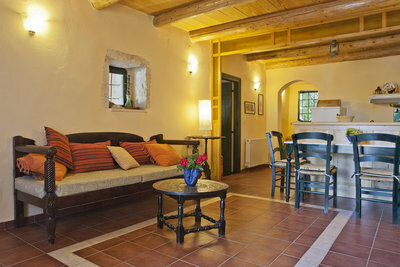 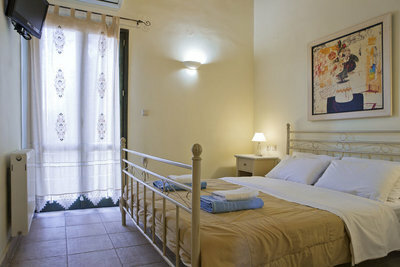 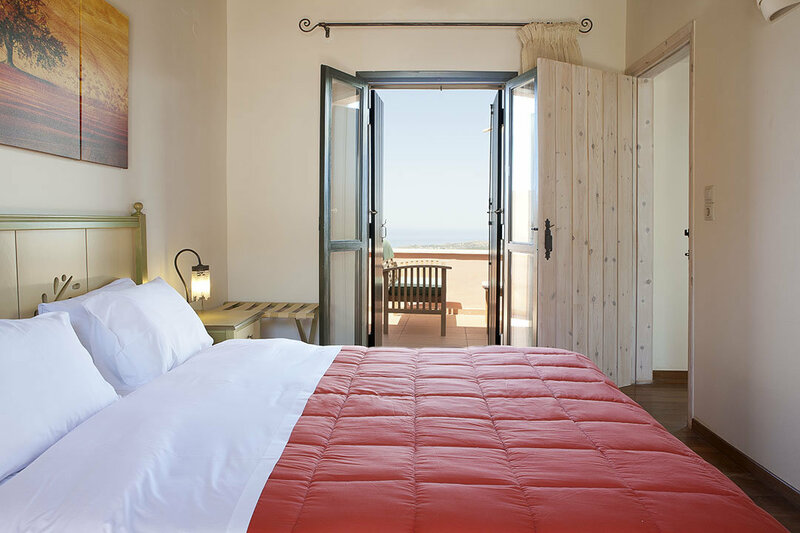 The eight guest houses have a beautiful family history, have all been inhabited by the family of the current owner and have been renovated with great care and total respect to the local Cretan architecture and traditions. 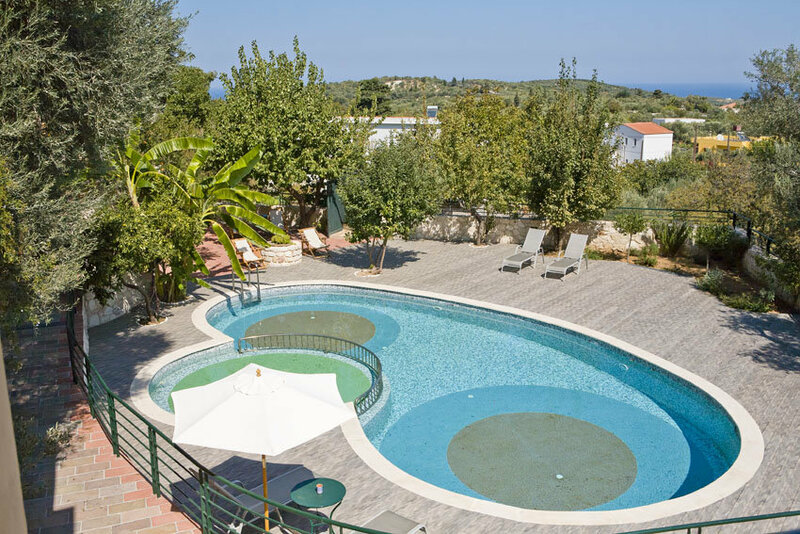 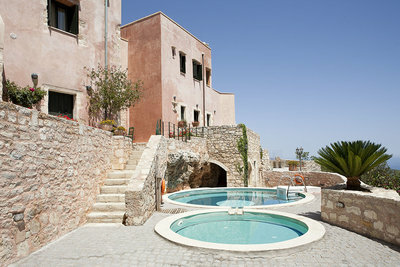 The property is divided into two groups of buildings, and each one includes four houses with a swimming pool and a pool for children. The “Agathes” group consists of four guest houses, is located at the entrance of the village, are surrounded by a large, lush and full of flowers garden with a magnificent view, shady areas that have been landscaped appropriately and are ideal for relaxation. 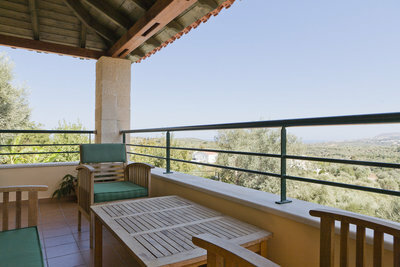 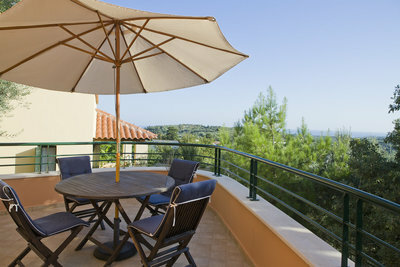 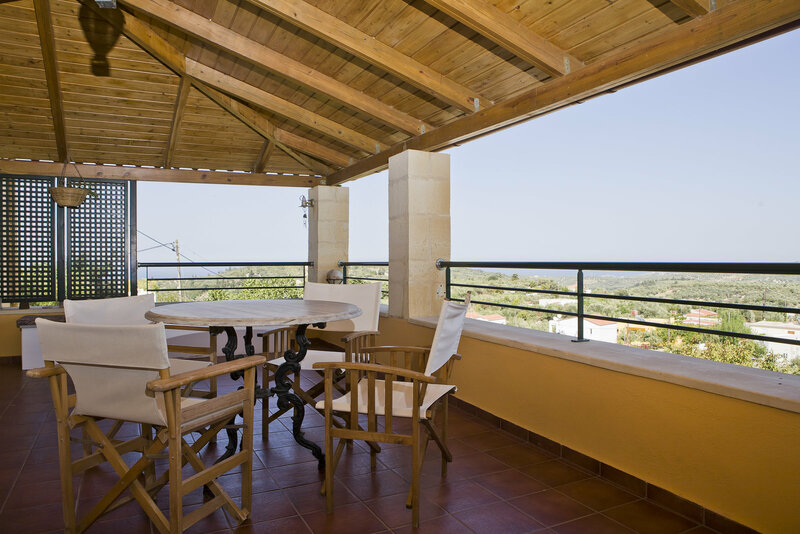 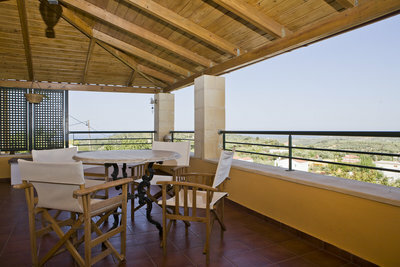 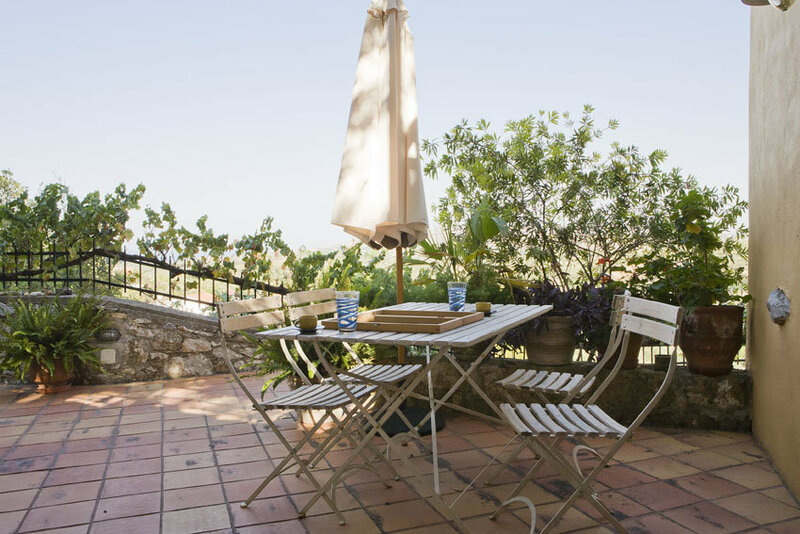 The “Central” group, with the other four guest houses, is located on the highest point of the village and is surrounded by a large patio with panoramic views to the surrounding area. 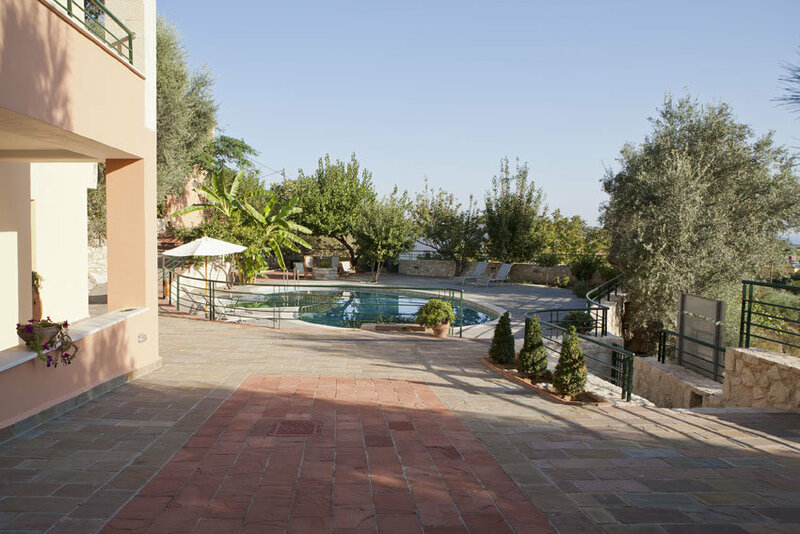 The two swimming pools with sun beds and umbrellas are ideal for a refreshing swim after your daily excursions. 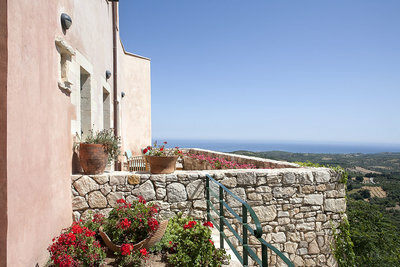 The houses also have beautiful views to the sea, the plains and the mountain. 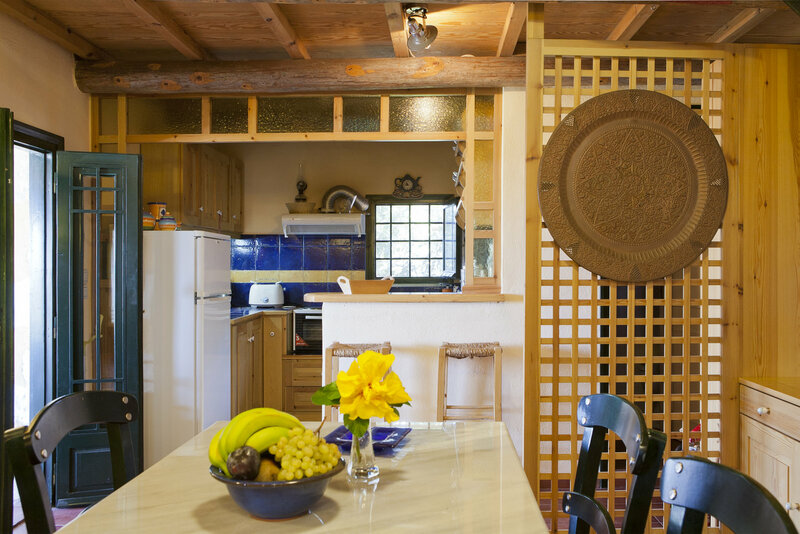 In every house, you will find everything necessary to prepare your first breakfast (coffee, tea, sugar, milk and fresh, seasonal fruits). 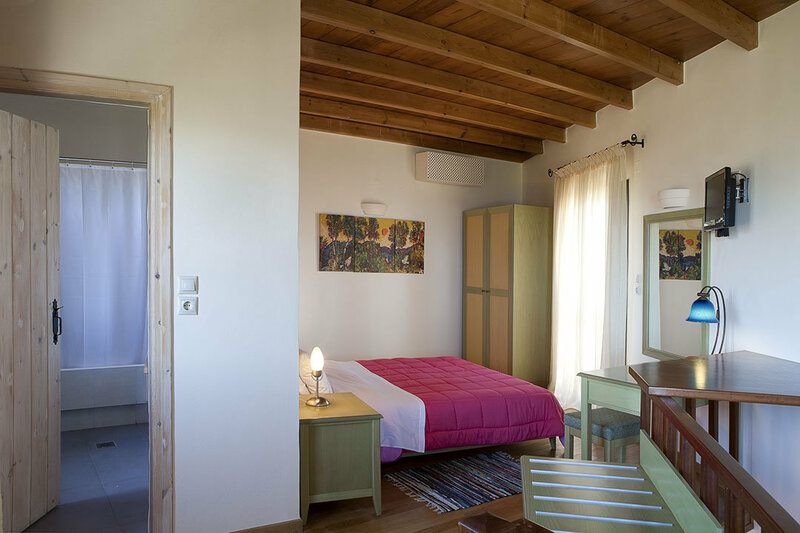 Take a deep breath in the Cretan sun in these comfortable houses and in your manner combine relaxation by the pool without doing anything, swimming at nearby beaches and walks in the beautiful countryside. 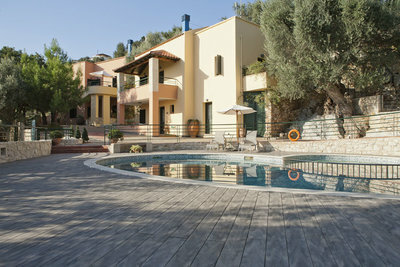 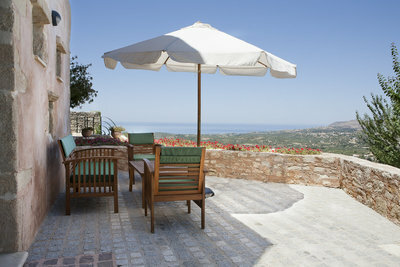 The lovers of authentic Crete will be thrilled! 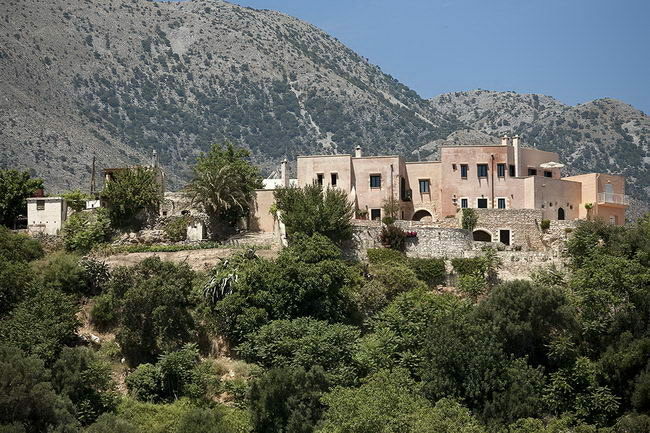 Nous avons séjourné au Kastellos village début juin. Ce fut un séjour fantastique. 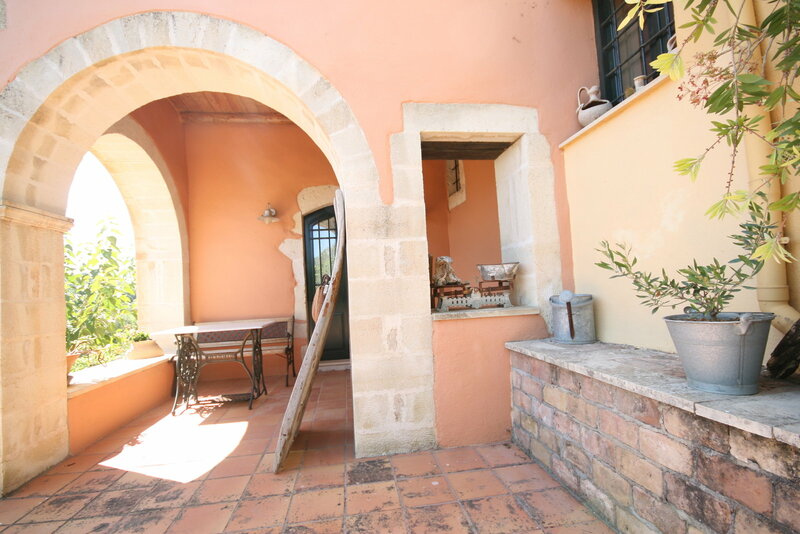 Le contact avec le propriétaire fut excellent. Gîte magnifique, environnement superbe et le petit restaurant "Chez Maria" est bien typique et succulent. Ce fut un vrai havre de paix et de bonheur! 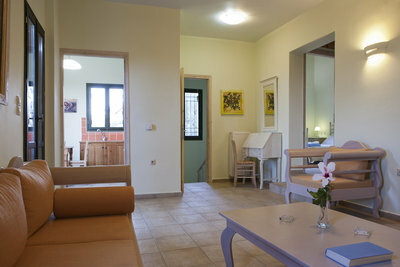 Merci pour tout! All was absolutly perfect ! 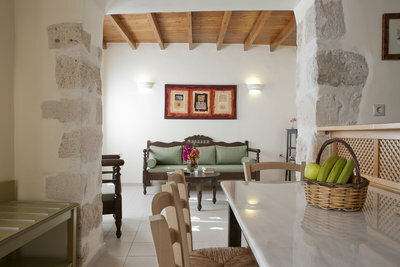 The appartments was above expectation. From Heraklion (95 km, approximately 1 and a half hours): Take the National Road to Rethymnon and then to Chania. Approximately 20 km after the town of Rethymnon and before you get to Georgioupolis, follow the signs towards Kavros and then to Drama-Filaki-Kastellos-Patima. 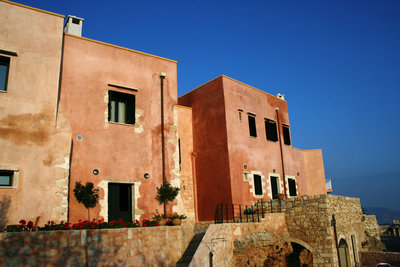 From Chania (45 km, appr. 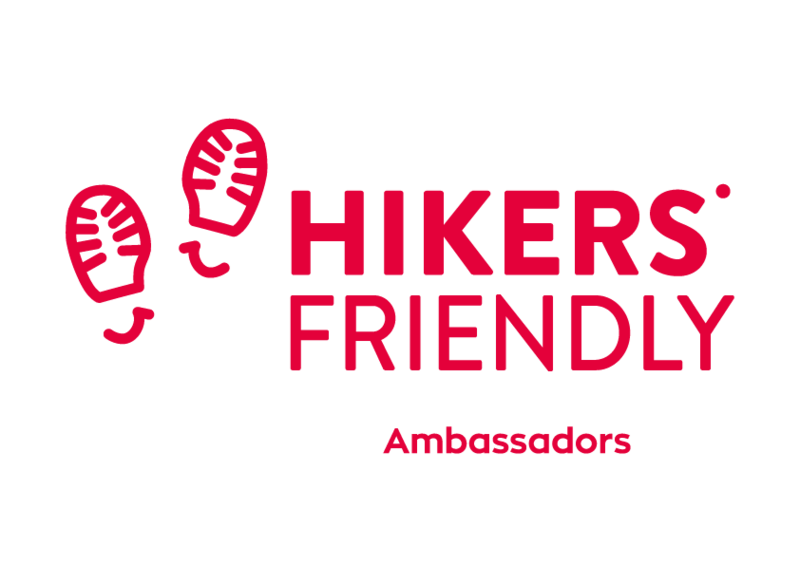 35 mins. 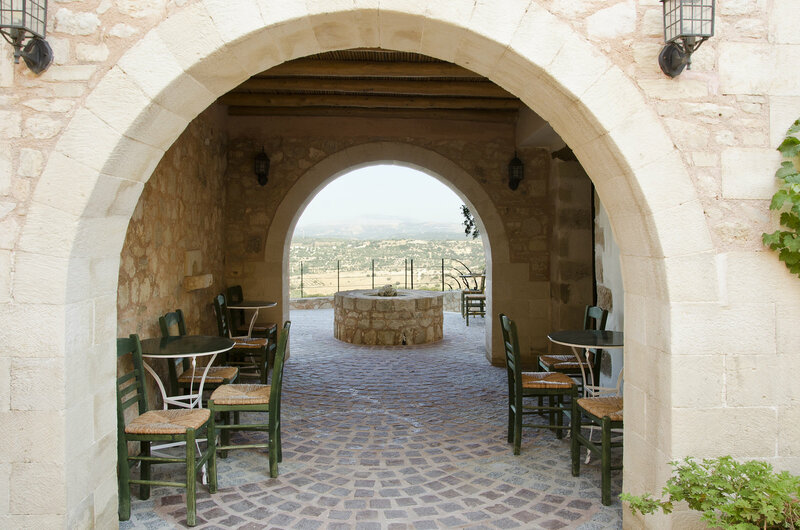 ): Take the National Road to Rethymnon and 2 km after Georgioupolis, turn towards Kavros and then to Dramia-Filaki-Kastellos-Patima. 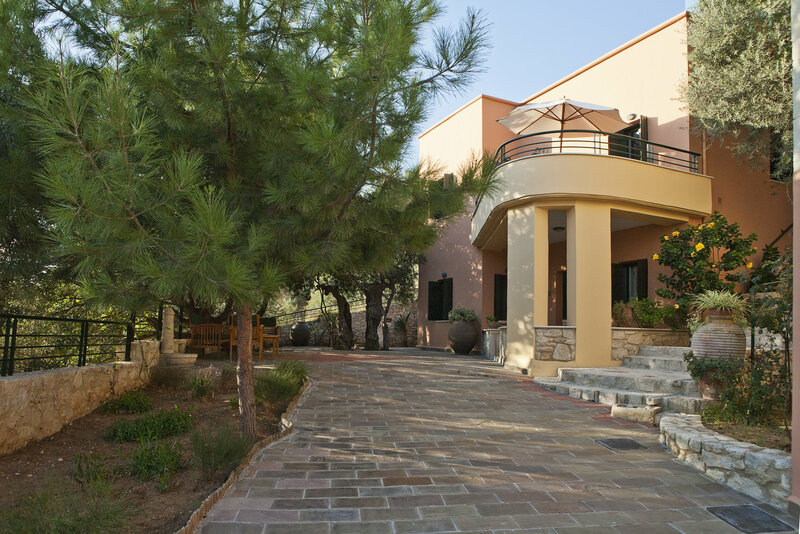 As you head out of Dramia, follow the road towards the left and after about 3.5 km turn right towards the sign Kastellos and Patima (the sighs are only in Greek: Κάστελλος-Πάτημα) The “Agathes” guest houses are located near the entrance of the village and the “Central” guest houses at the highest point of the village near the church and the “Tavern of Mary” and there are signs to guide you. 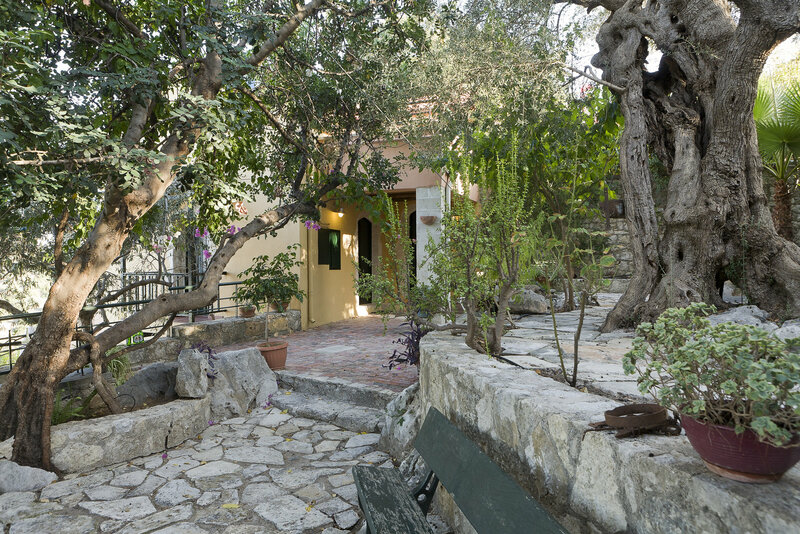 Very close to the “Central” houses and about 1 km from the “Agathes” houses (by car), the "Tavern of Mary" is open all day and offers excellent Cretan dishes in an authentic and friendly atmosphere. 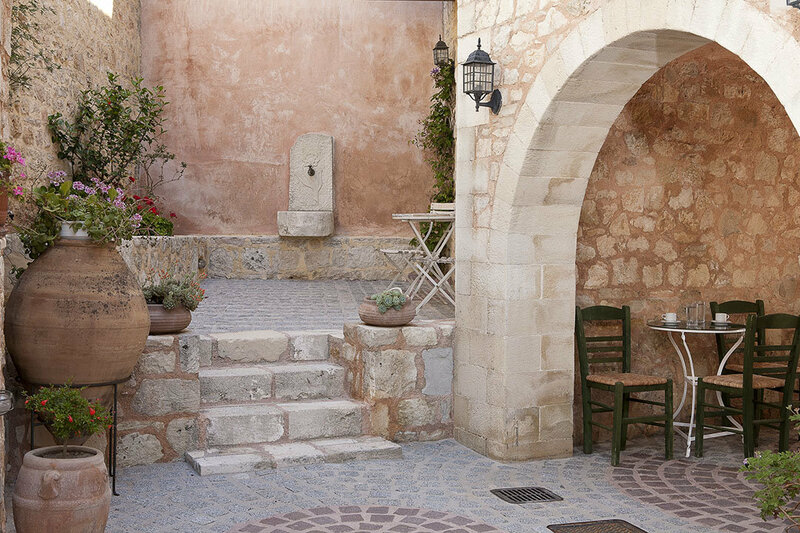 You can enjoy a rich traditional breakfast (by request) every day and Cretan specialties in the afternoon or evening. All the shops are located in Kavros (5km) and Georgioupolis (7 km). Do not miss a walk in Kastellos and do visit the surrounding villages that have a bold and authentic character. You can take many walks on foot on the hills. 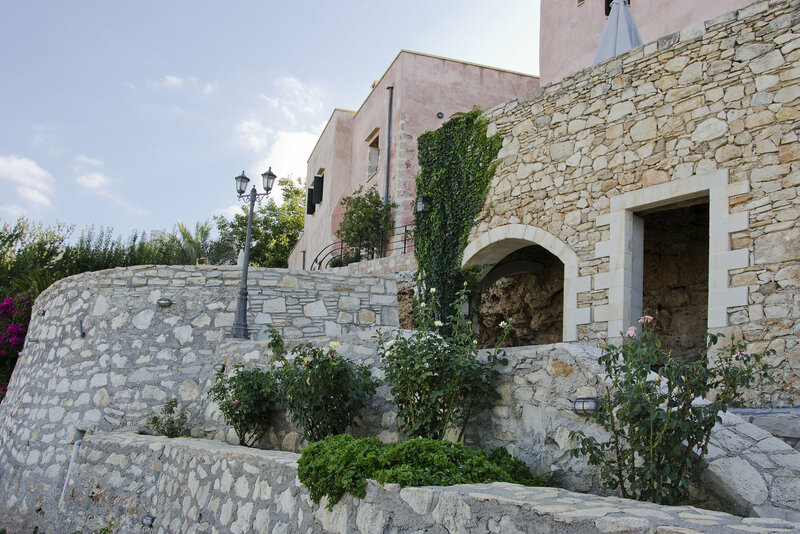 The springs and waterfalls in Argiroupoli are of great interest and you should also visit the Kournas Lake, the only natural lake on the island. The nearest beaches are in Kavros, 5 km away and in Georgioupolis, 7 km away (it gets very crowded in summer). 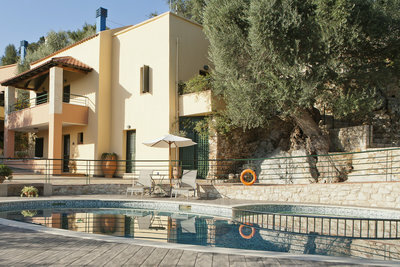 Other quieter beaches (Kalives, Drill, Koutali, etc.) 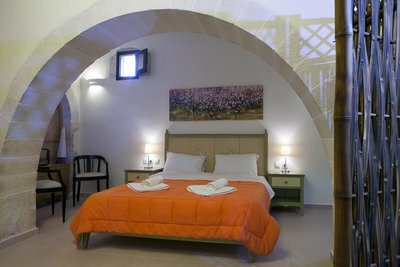 are located in the area of Apokoronas. Stroll around the old harbor and the cobblestone streets of the old town of Rethymnon and of Chania. Children 1 2 3 4 5 6 7 2 - 12 y.o.